Here we provided complete details about UP Basic Education Board Teacher Recruitment 2017 Notification, Vacancy, Eligibility, Fee, Selection, Pay Scale, and the Online application from Official Notification. You can also get Upcoming Sarkari jobs updates through latest Govt jobs web page of www.recruitment.guru website. 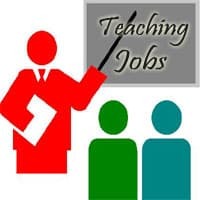 Go through the UP Basic Education board Asst Teacher jobs Notification details down the page. Participants of UP Basic Education Board Urdu Teacher Jobs must attain age limit as given in Notification as per Govt rules. Assistant Urdu Teacher: Possess Moallim E urdu degree/ Graduation in Urdu and must be qualified UPTET primary level. Assistant Teacher: Must Completed Graduation with 2 years Training in Elementary Education i.e. BTC or D.Ed (Special Education) from recognized Institute or University. Refer below given UP Basic Education Board Teacher Recruitment 2017 Notification for detailed qualification requirements. Individuals applying for UP Basic Shiksha Parishad Urdu Teacher Jobs for fee details go through below Advertisement released by Basic Shiksha Parishad. Applicants participated in the hiring process of UP Basic Education board Asst Teacher jobs will get salary as per Govt norms. The Online application for UP Basic Shiksha Parishad Urdu Teacher Jobs released under UP Basic Education Board Recruitment 2017 will be available here. Eligible aspirants can click on the apply online link. Fill the UP Basic Education Board Urdu Teacher Jobs Online application and submit it before the scheduled dates. How to apply for UP Basic Shiksha Parishad Urdu Teacher Recruitment 2017? Initially, open the UP Basic Edu board official website upbasiceduparishad.gov.in or. Directly download the UP Basic Edu board Urdu Teacher Jobs Advertisement given below. Follow the announcement details and verify the eligibility. Fill the application as per instructions. Send the UP Basic Shiksha Parishad Urdu Teacher Jobs online form after verifying details. Take printouts of the application for further purpose. Follow our website for Latest updates on UP Basic Education board jobs. UP Basic Education Board Recruitment 2016 Notification has been recently released in the month of July 2016. Uttar Pradesh Basic Shiksha Parishad has published this advertisement with Advt No: 1760/ 79-5-2016-14(10)/ 2010 to fill 16448 vacancies of Assistant Teacher Posts in Primary Schools. Aspirants who were searching for Teaching Jobs in Uttar Pradesh may apply for this UP Basic Education Board Jobs released under UP Basic Shiksha Parishad Recruitment 2016. Interested and Eligible Candidates can apply to these UP Primary Teacher Jobs through UP Basic Education Parishad Recruitment 2016. Job Seekers searching Government Jobs in Uttar Pradesh can utilize this opportunity. Applicants can also check the official website upbasiceduparishad.gov.in for more details regarding the UP Primary Teacher Recruitment 2016. The Last Date for Online Application Registration for UP Basic Shiksha Parishad Jobs will be available on the site until 11th July 2016. Job Seekers who have completed Graduation with BTC Training are eligible to apply for UP Assistant Teacher Recruitment 2016. Other details like UP Basic Education Board Vacancy details, Educational Qualification, Age limit, etc. regarding UP Basic Shiksha Parishad Notification 2016 are mentioned below. Name of the Post: Sahayak Adhyapak (Assistant Teacher). Refer the Official Notification for more district wise vacancy details of UP Basic Education Board Jobs. The Aspirant can check the UP Primary Teacher Jobs Eligibility such as Educational Qualification and Age Limit from the below provided information. Candidates who wish apply for UP Basic Education Board Jobs should attain the below age limit as on 01.01.2016. Job Seekers must complete Graduation with 2 years Training in Elementary Education i.e. BTC or D.Ed (Special Education) from recognized Institute or University. Name of the Organization: Uttar Pradesh Basic Shiksha Parishad. No. of Vacancies: 16448 Posts. Selection Process: The Candidates applying for UP Primary Teacher Recruitment 2016 will be selected as per the applicants qualifying in all the rounds as mentioned in the Notification. Last Date for Submission of Online Application: 11/07/2016. Last Date for Payment of Fee: 13/07/2016. Last Date to take Printout of the Application: 15/07/2016. Application Fee: Job Seekers have to pay the application fee for UP Basic Education Board Jobs through E-Challan or SBI Credit/Debit Card. The Application Fee varies for different categories which are available below. For General/OBC Category Candidates: Rs 500/-. For SC/ST Candidates: Rs 200/-. Pay Scale: Applicants selected for UP Basic Education Board Recruitment 2016 will get the Pay Band as per the rules of the Uttar Pradesh Government. Application form for this UP Basic Shiksha Parishad Jobs released under UP Basic Education Parishad Recruitment 2016 is available on our site attached below. Kindly open the online application form for the Assistant Teacher Post from the given link and submit it before the due date. The online application form for UP Basic Shiksha Parishad Recruitment 2016 will be available on the site until 11th July 2016. The Online Application Link is available below. Click on Apply Online Tab for the UP Primary Teacher Jobs. Hence UP Basic Education Board Jobs Details are given from Official Announcement.